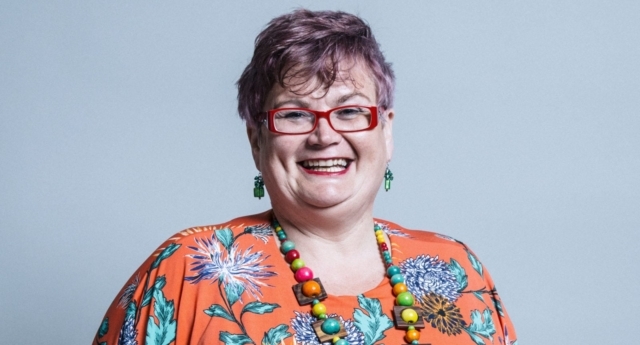 A Labour MP has apologised for claiming that alleged comments mocking an employee’s “dyke boots” were “banter”. Allegations about the conduct of Carolyn Harris, Welsh Labour’s Deputy Leader, emerged at the trial of her former office manager Jenny Lee Clarke, who was today found innocent of fraud charges. Clarke, who was found not guilty on all charges, alleged in court that the MP had made comments about her “dyke boots” and had made inappropriate comments about her sexuality. Speaking in court, Harris responded: “I don’t remember saying that but if I did it would have been banter. It’s a term for lesbian. Jenny Clarke is [a lesbian]. I’m certainly not homophobic. After the conclusion of the trial today, Harris posted a statement clarifying that it is not acceptable to describe homophobic slurs as “banter”. In her statement, Harris wrote: “During the trial, allegations were made about my behaviour. (…) It was alleged that I made a homophobic comment towards Jenny. The MP added: “I understand that banter was an entirely inappropriate – indeed offensive – word to use. It is a word that many LGBT people have heard used to justify homophobic abuse for too long. And I apologise -unreservedly and unequivocally – for my use of it. Following the conclusion of the trial, several Labour figures have called on Harris to resign, while Momentum founder Jon Lansman has urged Labour leader Jeremy Corbyn to suspend Harris.